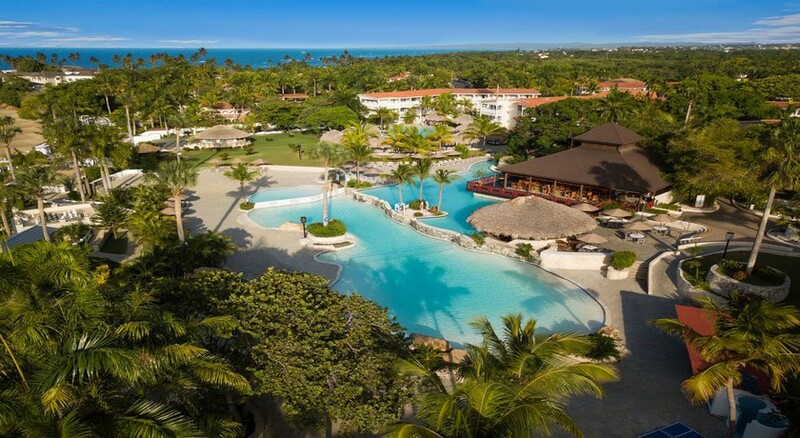 The Tropical at Lifestyle Holidays Vacation Resort is an all-inclusive luxurious resort El Cofresí in the Puerto Plata Province Region, 24km from Sosúa. 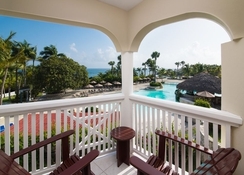 Sprawling across 2km of golden sands at the Cofresi Beach, the jewel of the Amber Coast this offers guests a comfortable stay minus the hustle and bustle of the city. 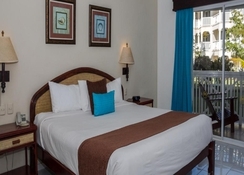 Well-furnished guestrooms are located in a three-storey Mediterranean style villa complex, with Caribbean influenced roofs and cobblestone paths. 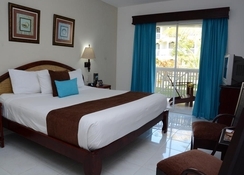 The rooms offer excellent views of the Cliffside and the ocean. Guests can relax and enjoy their beach vacation fullest with the all-inclusive package delicious and sumptuous food, unlimited drinks, an exciting nightly entertainment, and bars all served up with warm hospitality and friendly service. The Dominican Republic is known for its beautiful beaches, clear ocean waters and sunny blue skies, and the town of Puerto Plata is known to be laidback and tourist-friendly. The property is 44km from Cabarete, while San Felipe de Puerto Plata is 8km away. The nearest airport is La Union Airport at 26km. The Tropical at Lifestyle Holidays Vacation Resort has spacious guestrooms categorised as 70 Junior Suites and 212 Tropical Rooms, most with lovely Ocean Views. All the rooms are furnished in modern, contemporary décor and come with air conditioning; cable TV; hair dryer; mini-fridge; two queen size beds or one king size bed safe rental; ceiling fan; direct dial telephone; balcony or terrace; radio-alarm clock; coffee maker; iron and ironing board; and en-suite bathroom. The Junior Suites have one king size four-poster bed, sitting area with sofa bed. The hotel has few fine-dine themed restaurants, guests may enjoy an incredible journey at the lovely restaurants in sister hotel. 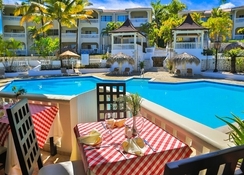 The hotel’s own a la carte and buffet restaurants figure among the best in Puerto Plata, be it Indochine (Asian Fusion) – The Tropical Pool, The Blue Lagoon (Seafood & Buffet) – The Tropical – Beach Area and Casablanca (International Buffet) – The Tropical. There are also lovely bars to relax with drinks and cocktails at La Cayena (Rum Bar) – The Tropical Lobby Bar, Las Canas (Tequila Sports Bar) – The Tropical Pool and the The Gin Joint (Gin Bar) – The Tropical Beachside Bar. The Tropical at Lifestyle Holidays Vacation Resort has a delightful pool where guests can relax all they want. 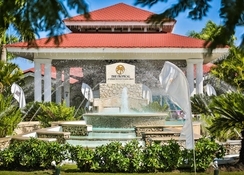 There is concierge service, a tour desk and hairdressers at the resort. Games like tennis, table tennis and billiards are available at the resort, and the area is popular for snorkelling. The property hosts the celebrated Yin Yang spa brings exotic treatments like Massages, Facials, Aromatherapy, Seaweed Body Wraps, Body Scrubs and other services for guests. The spa also houses shower, sauna and health club facilities.